Here's a promotional product worth a few high-fives! 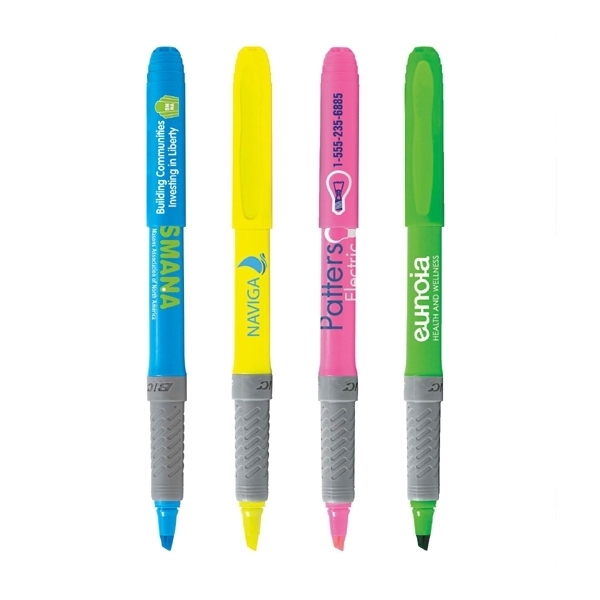 The BIC(R) Brite Liner Grip 5-pack of highlighter markers with gray textured rubber grip will appeal to everyone from students to executives. The ink matches the highlighter color. The highlighters feature bright barrels and ink colors as well as multiple imprint options. These ACMI non-toxic markers are assembled in the USA. Shipping Weight: 20 lbs. per 130 - FREE Shipping! 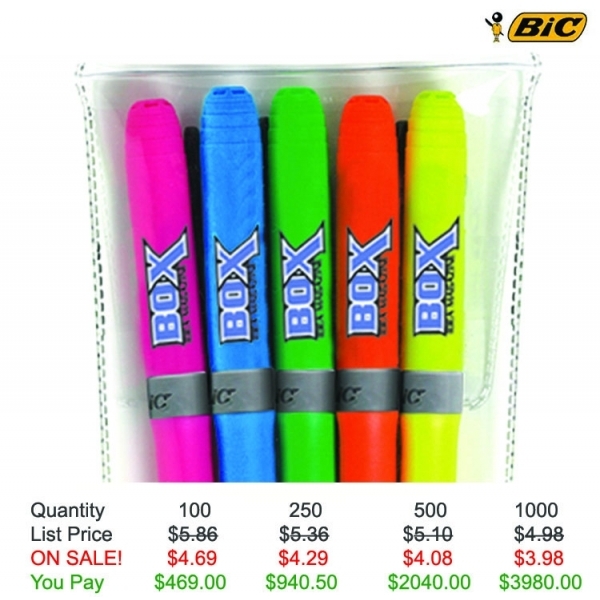 Additional Information: Additional Imprint Color or Imprint text on Barrel - $0.15 ea - For more information call Customer Care 877-706-1866 - NOTE - Imprint is put on cap unless otherwise specified.